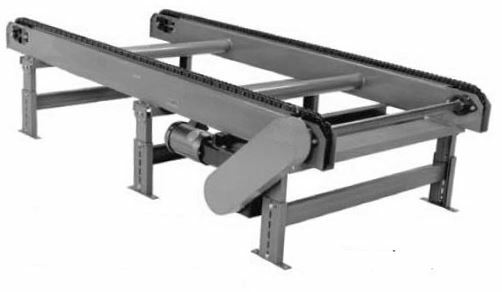 Powered Chain Drag or Chain Transfer Conveyor – BNB Industries, Inc.
Chain Drag Conveyors are used to move heavy loads with a specific foot print like pallets or other specialty totes. Units can have 2, 3 or 4 strands of chain. Center mounted to allow for travel to be reversed. 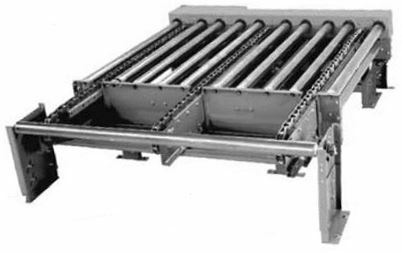 Chain Transfer Conveyors are used to move heavy loads at a 90 degrees, designed for handling a product with a specific foot print like pallets or other specialty totes. Can be Pivot mounted or Positive lift mounted in chain driven live roller conveyors.